What a pleasure it was to play string arrangements by David Campbell and Oliver Kraus conducted by David Campbell. 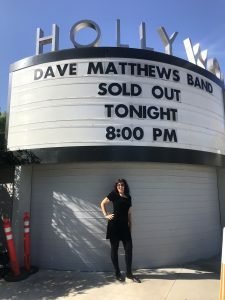 We were at the sold out Hollywood Bowl with The Dave Matthews Band. What a great evening it was participating as part of the string section.